Inspired by Blue Planet II? Always wanted to Learn to Scuba Dive? 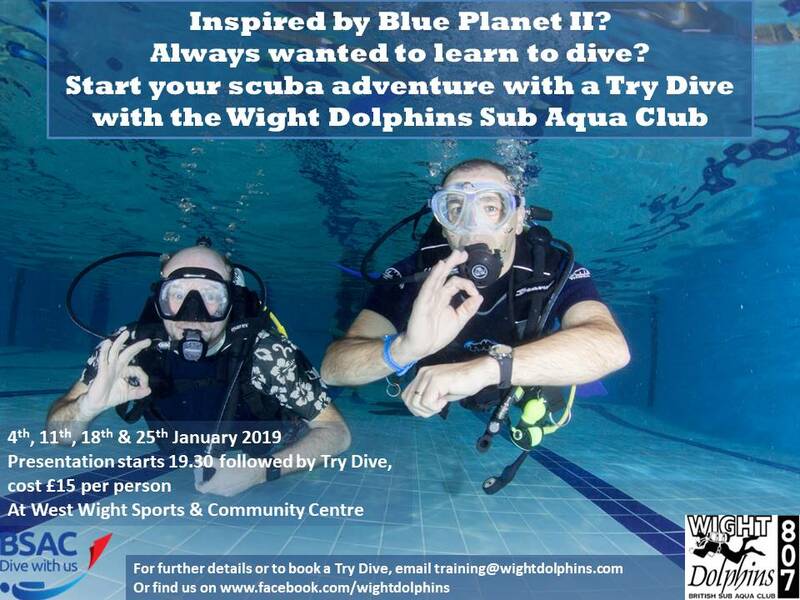 Start your scuba adventure with a Try Dive with Wight Dolphins Sub Aqua Club here at West Wight Sports & Community Centre. At just £15 a Try Dive can help you save time and money by finding out in advance if you like diving. Sessions are running 4th, 11th, 18th and 25th January 2019.